John Rider Bisby, a parishioner of St Mary’s, compiled the following biography of James Battersby and along with his granddaughter Rebecca produced a leaflet which you can download below. Prior to John’s death, in August 2018, he was able to see the opening of the Annex and its popular use for the children’s liturgy each Sunday. This was a proud moment for John and his wife Ann, daughter Janet and granddaughter Rebecca. 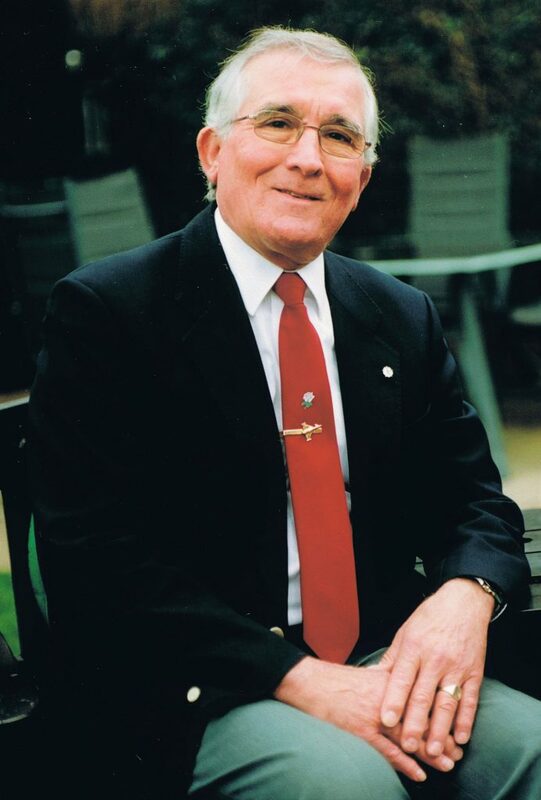 John was a tireless worker for the parish, the diocese and the Catholic church for many years. John’s legacy lives on through the many initiatives that he was involved with. Not least the construction of the James Battersby Annex. In 1716, William Haydock of Cottam Hall was outlawed, like many other Catholics at the time, for his part in the Jacobite Old Pretenders Rising. At the time the family of Haydock’s were part of the large group of recusant families in the North West of England who rejected the forced changes from historical Catholicism to the Church of England. George Haydock was a priest and was executed as a martyr with four other priests. Early, on Wednesday the 12th February 1584 five priests were taken to Tyburn on hurdles; Haydock, being probably the youngest and certainly the weakest in health, was the first to suffer. All were hung, cut down before dead, and dismembered alive. He was beatified in 1987 and is now Blessed George Haydock. James Battersby was the great uncle of Mrs. Susan Stoker, a parishioner at St Andrews and Blessed George Haydock in Cottam. She told me that she remembers James as quite a ‘Gent’ who was a big snuff taker with a lot of expensive snuff boxes. He was quite well off and liked silk hankies. She also recalls that in his youth he was quite a portly man but much less so in his later life. ‘Your sorrow will be turned into joy’. James and his brother John were both bachelors, and two of a family of eleven children who in their early years lived at Raikes Farm in Lea Town. John was the older and was born in 1863 and James was born in 1881. They are both interred at St Mary’s Lea Town with many other Battersby’s. Susan was able to show me six well preserved family burial internment cards. Susan’s father – Robert Barnes, Elizabeth Battersby – James sister, married Edward Barnes, Susan’s grandfather. Going back over 430 years, the Battersby family was related to the Haydock family of Cottam Hall, which included George Haydock (born 1556 the youngest son of Eva Haydock), who was Martyred at Tyburn in 1584, and also Sir Richard Hoghton – a knight from Hoghton Tower. James Battersby commissioned a large, detailed ‘Family Tree of the Genealogy of the Haydock Family’, a copy of which is framed and now displayed in the Parish Annex. Raikes Farm is situated across the fields, behind St Mary’s Primary School, to which James went in his early years and then onto Preston Catholic College. He and his brother John were from a staunch traditional ‘Lancashire Catholic’ family. Later, James lived at 1 Victoria Parade, which is in Ashton-on-Ribble in Preston. His house was called ‘Lanherne’ and when he moved to Bonds Lane in Garstang he took the name of his house with him. One of St Mary’s parishioners, Mrs. Noblett, whose husband was a dairy farmer on Darkinson Lane, told me that her parents knew the Battersby family very well and that they were corn and cattle proven feed distributors for the local farms. Sons James and John Battersby were astute and extremely successful business men. Father Keville met the brothers whilst he was a curate at St Mary and St Michael Parish in Garstang and became a close friend to them both. James was a Company Director of Cumberland Moss Litter Industry Limited, a Company that dug for peat in Wigton in Cumbria, and in this work James employed a number of Polish displaced persons as workers just after the second World War. The Peat Moss Company was closed around 1979. 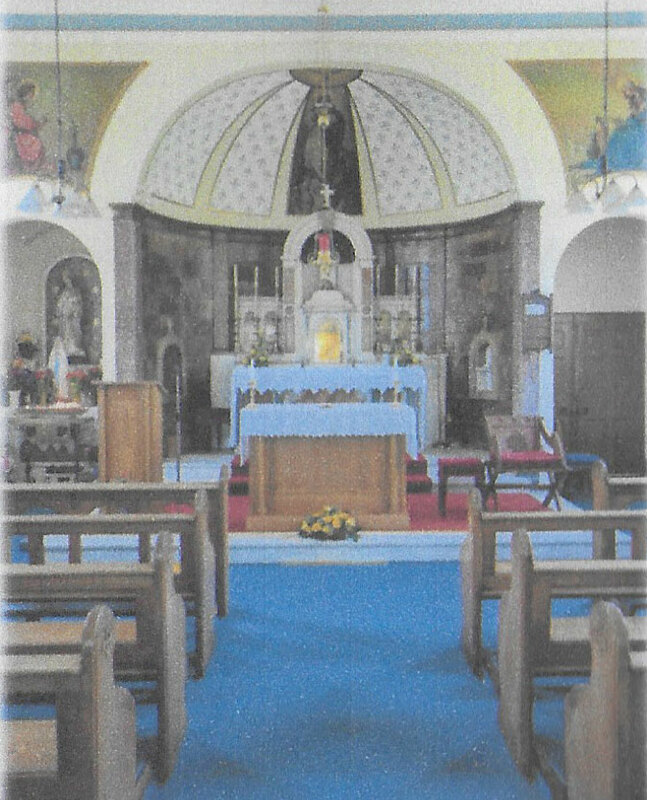 James was a very devout Catholic and his family church was St Mary’s in Lea Town. All of the family were great friends of Father James Keville and many of them were baptised, confirmed, and married in the church and buried in the cemetery. There are ten Battersby graves in the cemetery with twenty one people buried in them. Amongst the earliest grave stone in the cemetery are Mary Battersby (1842) and Anne Haydock (1848). According to our parish records, James was confirmed on the 22nd of May 1892 by the Bishop of Liverpool, Bernard O’Reilly, at St Mary’s, and upon James death on the 18th April 1961 he was buried on the 21st of April, the service being conducted by Father Henry Gerrard, Parish Priest. It was later revealed in the estate of his will, and later the codicil of the will, that he was a very large benefactor to this church, as was his father before him. In his will he left stocks and shares, his bungalow home in Garstang, his many personal effects and a large parcel of more than seven acres of land on Byerworth Lane in Garstang. James was a bachelor and his long time house-keeper both at ‘Lanherne’ in Ashton and in Garstang was Miss Margaret A. McKevitt who was granted a life-tenant of the bungalow in Garstang by James Battersby. Miss McKevitt was also a close school friend and the best friend of Mrs Margaret Hargreaves, mother to Ken and Brian, and during the war she and James – ‘Pop’ to the Hargreaves boy’s used to regularly walk round to their house in Wellington Road during the blackouts listening for the air raid sirens. After cups of tea and socialising with the Hargreaves they would then walk home, about half a mile, in the dark, with their little dog called ‘Ponte’. After her death on the 23rd of February 1977 the land and bungalow were sold and the funds realised were for the specific upkeep of St Mary’s Church burial ground and the balance of any income from the sale of this large piece of land to be used for the upkeep of the Church of St Mary Lea Town, at the discretion of the Parish Priest at the time. A bequest was made to the Lancaster Diocese for an annual Mass to be said for James – see the list at Church for details. From St Mary’s burial records the ten family graves in the Cemetery date from the earliest of 1842 to 1961 (James Battersby). Most of them have elaborate headstones but there are four with no headstones at all. Running down the centre, of the sarcophagus, is carved a cross with a fish tail style end at the bottom. St Mary’s Church in Lea Town was built circa 1800 and the Reverend James Smith was the first Rector in August 1800. The church bell is from the old Preston Town Hall of sixteenth century date. It was removed here to Lea Town by Provost Charles Walker around 1860 when the new Town Hall was built. “From the Haydock’s of old descends the Battersby family, who most worthily carry on their traditional and practical heritage. To the late Mr. James Battersby, the Haydock’s most worthy son, who devoted his life to the welfare of St Mary’s, I owe for much of this pamphlet information”. 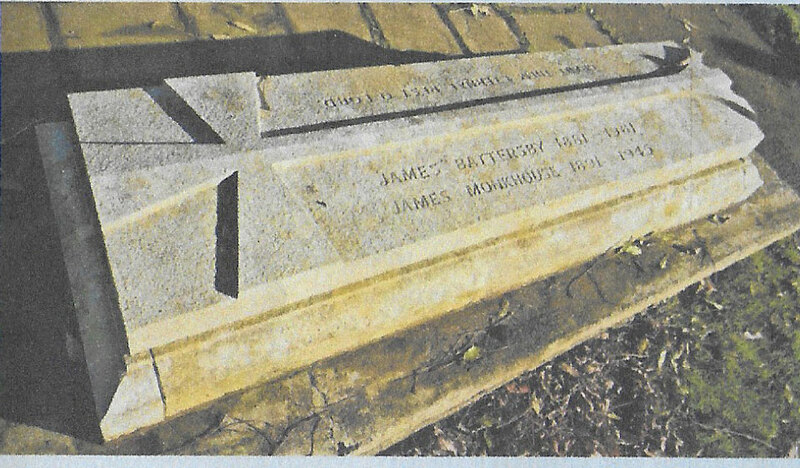 Susan Stoker told me that she remembers that James had his Sarcophagus grave made and placed in the Cemetery a long time before his death and used to regularly clean it up. We have very little information about whom Mr. James Monkhouse was. He was buried on the 26th April 1945, and was the successful business partner of James in the peat recovery business. He must have been a very close friend of him and, or, the Battersby family. However, he died 16 years before James Battersby. 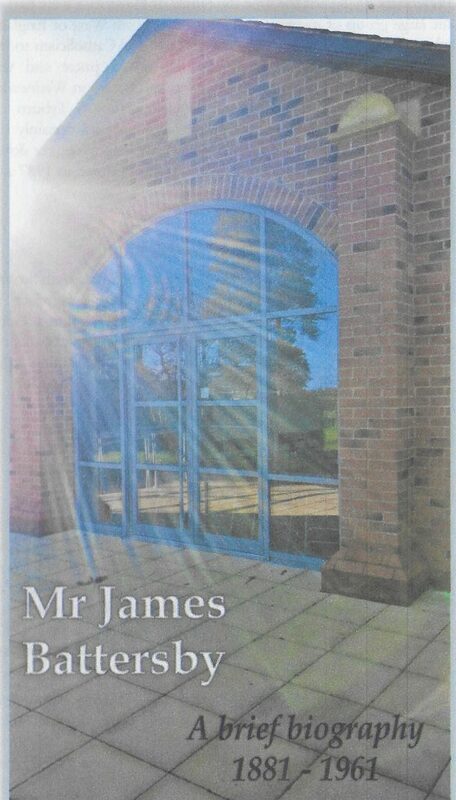 The funding for building the new Annex at St Mary’s is from some of the income from the investment of the bequest from James Battersby in the Diocesan Pooled Investment Fund. 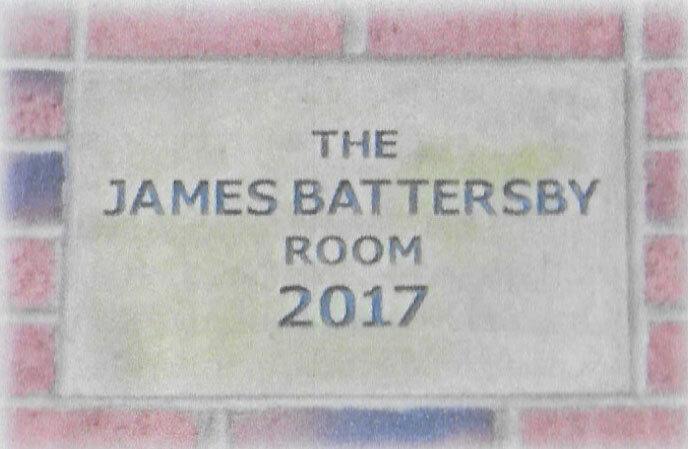 The Parish Social Committee unanimously decided that we would name the Annex ‘James Battersby Room 2017’ and ask Bishop Michael to bless and officially open the room after he had officiated at a commission Mass to mark the beginning of the mission of the Sisters of the Adoration of the Blessed Sacrament (SABS). The old presbytery has been converted to a convent for the Sisters. Bishop Michael Campbell had been due to open the Annex in September 2017. However due to the delay in the arrivals of the Sisters the opening took place with our new Bishop Paul Swarbrick on 14th December 2018.